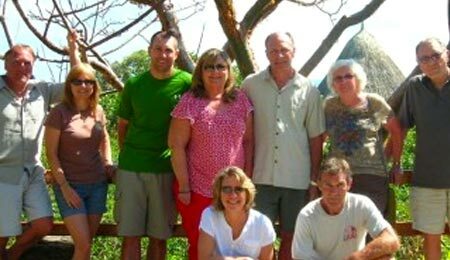 We are very happy to share with you some of the testimonials of the passengers that have traveled to Colombia with us and show you why are we the most recommended Colombia Travel Agency. Last Autumn I travelled to Colombia , to stay with friends for 3 weeks, during this time I had about 5 days spare and I was keen to explore Colombia but didn’t know how to go about this; I didn’t want to just launch out on my own. I soon discovered See Colombia and after initial enquiries, I gave Marcela a summary of my budget limits and various interests. What resulted was a multi stop tour taking in areas including the cool green Coffee Triangle area to the tropical heat of Cartagena. See Colombia took care of all the booking arrangements and transfers, so although I was solo for some days I never really felt alone. I really enjoyed this mini vacation within a vacation. Thank you so much for helping me see so much of Colombia. I strongly recommend See Colombia Travel if ever you have an interest to visit this beautiful country. I traveled to Colombia in 2013 to see my daughter, she found her big love there and decided to leave Sweden for Colombia. She told me about See Colombia and that they could help me get a nice place to stay and safe excursions. So I traveled to Cartagena and stayed there for one week. I enjoyed the nice hotel Marcela booked for me, the amazing boat trip and not to forget the very friendly and service minded guide that took good care of me during the whole week. I really recommend you to book your Colombia trip with See Colombia, I can guarantee that you will have a wonderful time. I will for sure come back, not only to visit my daughter but also to explore more about this mysterious country. Thank you Marcela and the rest of the See Colombia Team for great and reliable service. I just wanted to send you a message now that we are home again, to say what an amazing time we had on our trip to Colombia! 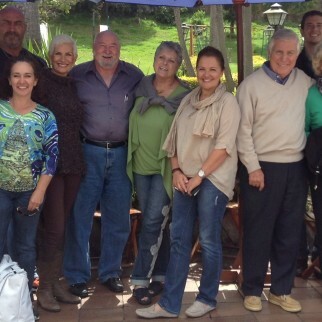 We were so happy with your travel service, and everything was so perfect! We had a great time with Heydi and Hector, and really enjoyed their company as they toured us around. Heydi is a lovely woman, and a fantastic guide, and we just had the best time with her. Thank you so much for showing us your wonderful city and country. We have been singing the praises of See Colombia Travel to everyone we know, and encouraging them to visit Colombia for themselves. I absolutely loved Colombia!!! I have traveled to many parts of the world and it is by far my favorite country in the world! The people are amazing! The land is beautiful and is diverse. The tour guides that you have are wonderful and very helpful. I enjoyed every minute of my trip. I laughed with so many new friends, sang Karaoke in Medellin, lifted weights outdoors in Parque Lleras, napped by a pond in Parque Arvi, danced at Andres Carne de Res, visited the Botero Museum and the Museo del oro, ended up busing it with new local friends I met over breakfast to Salto de Tequendama, went to Montserratte, climbed la piedra de penol in Guatape and ended up giving a 30 minute bball clinic to a father and son when I found a bball court in Guatape; I walked around several cities, talked to anyone and every one; explored an underground cathedral, river rafted in level 4 rapids on the Magdalena, rode horseback in Valle del Cocora, hiked in the Andes near Nevada del Ruiz, gave out food to poor locals in Cartagena, explored the Old City and watched the sunset over the Caribbean; got a tour of Popayan by a beloved local professor, listened to traditional Andean music at the ruins San Augustin, drank the best coffee in my life at a small cafe in Salento and in Popayan, and lounged in an ecoparque in Cali. I met many wonderful people. They are a special breed there. I mean…I cannot imagine a better trip! I will go back soon. Thanks for everything…the service was very good! I really appreciate the help and suggestions for places to stay…the accommodations were nice. My wife and I want to thank you and your staff for your hospitality and professionalism during our recent trip to your beautiful country. The tours you arranged were interesting and informative and were enjoyed by the entire group. I’m sure Bogota would not have been as enjoyable without your expertise. As you know we were in Colombia to attend a wedding and really didn’t know what to expect. We found the people to be friendly and accommodating. Considering we don’t speak your language, we never had a problem communicating. 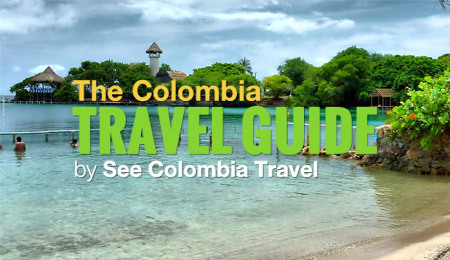 We are pleased to recommend See Colombia Travel to anyone visiting Colombia. I had begun the planning process several months in advance, deciding to visit solo. 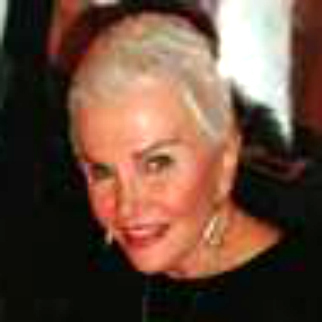 My initial contact began with representative/agent, Sara Romes. She answered my many questions, provided translation assistance with Satena Air, and gave great suggestions to complement a 14-day itinerary which included visits to Cartagena, San Andres, and Providencia. During this process, all my emails were promptly answered and/or addressed by telephone. Even while traveling, the owner, Marcela Mariscal and staff, were available to assist me with a minor issue. Love the online Chat feature! How reassuring and comforting to know that a See Colombia Travel representative is always available, should something arise. Upon arrival and departure to the various destinations, all airport transfers were well timed and efficient. Suggested hotels were all very comfortable, and very safe. My primary contact/guide while in Cartagena was Emilce Chala. 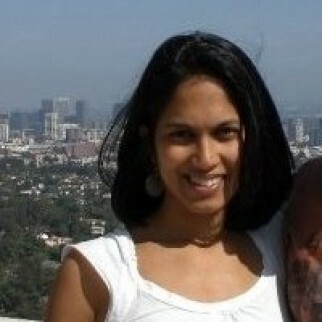 What a consummate professional and wealth of information regarding the city – I truly enjoyed touring about with her. She provided historical insight and tips for enjoying the charming, Walled City, particularly during the Independence Day festivities and daily happenings. The city center was definitely alive with spirited, crowds of people. Although brief, my introduction to Colombia and the making of new friends has been such a positive experience. I thoroughly enjoyed combining a mode of travel that included; city adventures, beach rhythms and relaxation, as well as, guided and independent excursions. 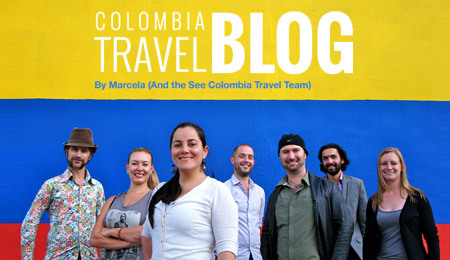 See Colombia Travel will certainly be a part of my future travel plans. I just wanted to thank you and See Colombia for making my daughter’s wedding so memorable. Some of the guests from abroad were visiting our beautiful Colombia for the first time and they have left with a wonderful impression, not only of the people, the food and the tourist sights, but also of your warmth and professionalism. The package which you arranged for us, which included a Chiva tour, Monserrate and Zipaquira, has left many people wanting to come back. Thank you so much for everything, I won’t hesitate to recommend you and See Colombia Travel. 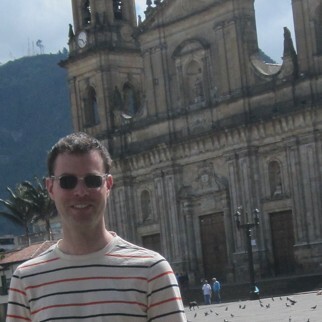 See Colombia Travel did a phenomenal job arranging my month long tour in Colombia. They started with asking me what my interests are and then tailored a package just for me. There were no supplements for traveling solo, which I truly appreciated. They stayed within a tight budget, and I was really impressed that they were able to make it such a wonderful experience within that budget. They arranged some of the better accommodations in each city/area that were in line with my interests. They were flexible and understanding about all my questions and any changes I wanted. I felt that they sincerely wanted me to experience a country they loved to help me fall in love with it, and not once did I feel that they were trying to make money off of me. One of the main reasons I went with a tour company was so that there would be someone who would be watching my every move to ensure safety. 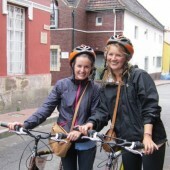 I cannot say enough how safe and secure I felt and how accessible Sara, my travel agent, was. If there was ever a question, day or night, I could call or email her and she would make sure it was resolved instantly. I once was not 100% satisfied with the service of one excursion and emailed Sara (although I have to admit a felt a bit like a prima donna doing so) and despite having arranged a fairly budget trip, they responded as if I was the most important person in the world – incredible service! Colombia is an amazing, beautiful, rich country. It has had a troubled past but the Colombians are working harder than I’ve seen many other world communities work to build a better future. I felt very safe traveling there and HIGHLY recommends a trip there – I haven’t met anyone who did think it was their favorite country in South America to visit. Well See Colombia Travel (in particular Sara), you succeeded, I have fallen in love with Colombia and can’t wait to come back! Thank you for a trip of a lifetime. Colombia treated me extremely well and I’m very happy with all of it and the stories and experiences I had. You personally have listened to my writing ad nauseum and have gotten it all arranged well on short notice so thank you tremendously for all of your work, I really appreciate it. Hi Marcela, it was an absolute pleasure to meet you. I just wanted to congratulate you, not only for being an adorable person, but also as you are magnificent in your role as a travel industry expert. I want you to know that I will recommend See Colombia Travel to all of my friends, I had a wonderful time and the attention to detail, attentiveness and services were honestly five-star. Thank you so much for everything. 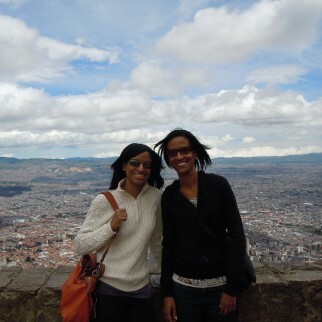 In June 2012, I traveled with my sister to Bogota and Cartagena for a week with See Colombia Travel. After a lively debate about our annual vacation destination, we decided to explore Colombia, despite the concerns of friends and family. And I am always looking for an opportunity to work on my Spanish. My sister was excited about trying the coffee and I could not wait to take some great pictures, and Colombia did not disappoint. We really liked Cerro de Monserrate and the Gold Museum in Bogota. Cartagena was beautiful and the mud volcano was a unique experience. See Colombia staff did a great job of arranging our activities and the tour guides were friendly and gave us a detailed history of the cities and the country. We now know more about Colombia and plan on returning in the near future, of course, with See Colombia’s assistance. For anyone considering a trip to Colombia, See Colombia Travel provides excellent service and you will discover a diverse country with wonderful people and you will have a great time in Colombia.